There are 2 things you should bring back from Vegas. One is a Capastrami sandwich from Capriotti’s Sandwich Shop and the other is a bundt cake from Nothing Bundt Cake. There’s a whole lot more, but these 2 are my fav. 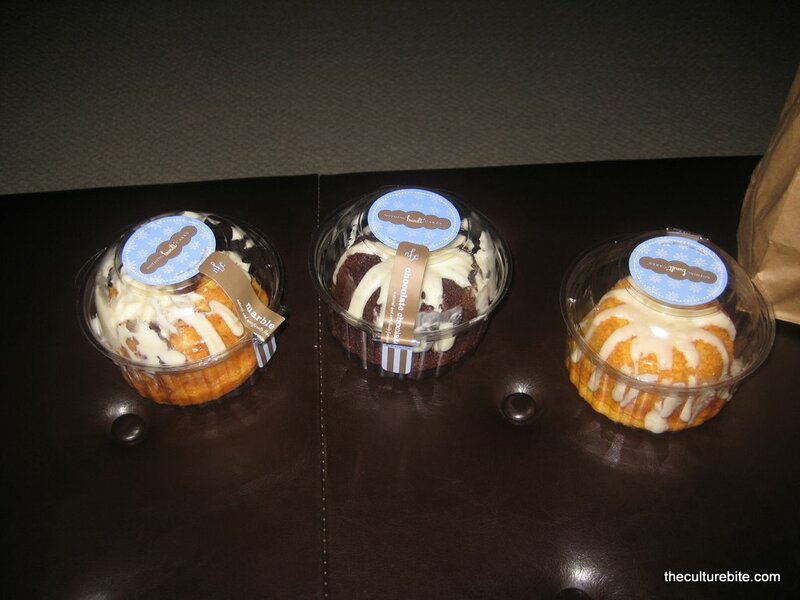 My sis-in-law was kind enough to bring home 3 whole bundt cakes (about 4-5″ diameter) for us to try. Between 4 people, we ate it all. She brought home 3 flavors – a marble, chocolate chocolate and a lemon. All were very moist and sticky. Unanimously, the marble was the favorite since it was less sweet compared to the other 2. The frosting to cake ratio was perfect. I’d say this was better than any cupcake I’ve ever had. THAT’s a big statement.